Michael Bowles started his career in antiques & collectables over 30 years ago when he began trading in stamps and became a partner in the “Suffolk Stamp and Postcard Auctions”. Over time his interest and knowledge broadened to include antiques & collectables, and he formed “Colchester Collectables”. Today the charismatic, knowledgeable, and ever popular Michael is a highly sought after consultant and valuer. 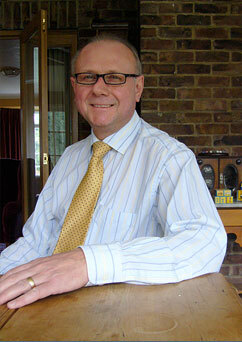 He can be found working around the region including the prestigious Reeman Dansie auction rooms. Colchester Collectables has an enviable and spreading reputation that has seen the business go from strength to strength. Due to a steady increase in demand for their services, Oliver Bowles has recently joined his father, dedicating his efforts to developing house clearance and removal services. As an established and recognised antiques & collectables consultant Michael Bowles has been an on and off screen expert for the hugely popular cult BBC television series “Flog – It”. For 2 years he has also been the resident expert for the monthly broadcast of “The Sound Advice Programme” on BBC Radio Essex. Michael regularly shares his expert knowledge in antiques and collectables with various antique groups and the general public at road shows, daytime and evening talks, and charity valuation days.